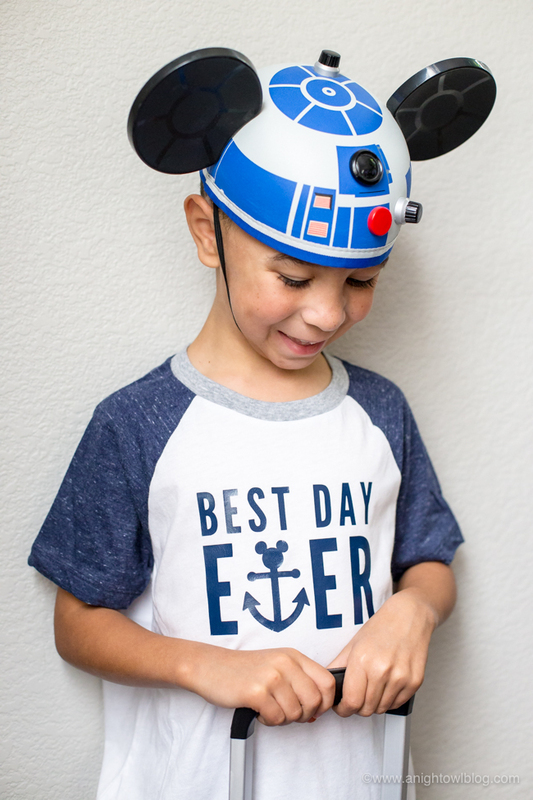 Perfect for embarkation day on a Disney Cruise, whip up a DIY Disney Cruise Best Day Ever T-Shirt with an adorable Mickey anchor design! Hi friends! 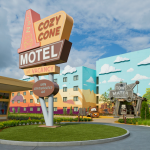 We’re going on a Disney Cruise! That’s right, in just a couple weeks we’ll be heading to the Disney Social Media Moms Conference at Walt Disney World in Orlando, Florida to experience Disney magic, network with amazing Disney Cast Members and learn about everything that Disney has in store this year from parks to movies. And as if that wasn’t enough, after a few days at Walt Disney World we’ll be hopping onboard the Disney Dream for a cruise to Castaway Cay! 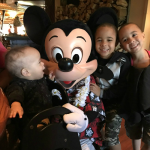 Now my husband Andre and I had the opportunity to go to #DisneySMMC last year and we had the time of our lives. 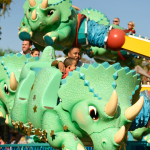 But this year we’re taking our two oldest boys along for the ride so that means there is a lot more planning involved…which means I’ve also been crafting a little DIY Disney magic as well. 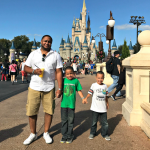 I’ve teamed up with some of my fellow Disney Moms who are doing the same, creating DIY Disney T-Shirts, and we’re sharing all that pixie dust creativity with YOU! My boys have plenty of park-ware with so much Star Wars apparel that it’s busting out of their drawers but since this is their first time on a Disney Cruise I knew I wanted to make something a little special for them. 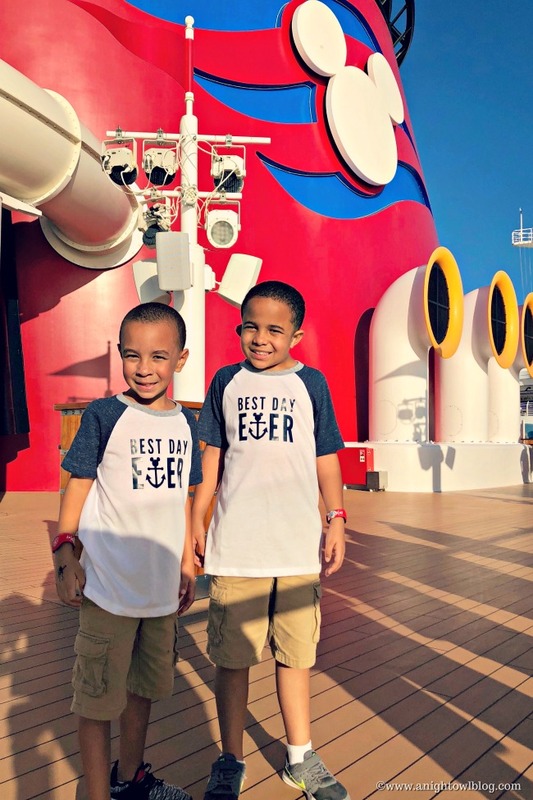 So for the day we board the boat and take our first Disney Cruise picture, I made them a DIY Disney Cruise Best Day Ever T-Shirt! Super simple. I grabbed the softest tees ever from Old Navy, and I loved the navy blue sleeves and gray ribbing. I think that it just adds a little something to a plain ‘ole tee. Then I used my handy dandy Cricut to create this project, set it to “mirror” to cut it out of their Iron-on Vinyl in Navy. And then I followed the directions on the vinyl to iron it onto the t-shirt! And voila! 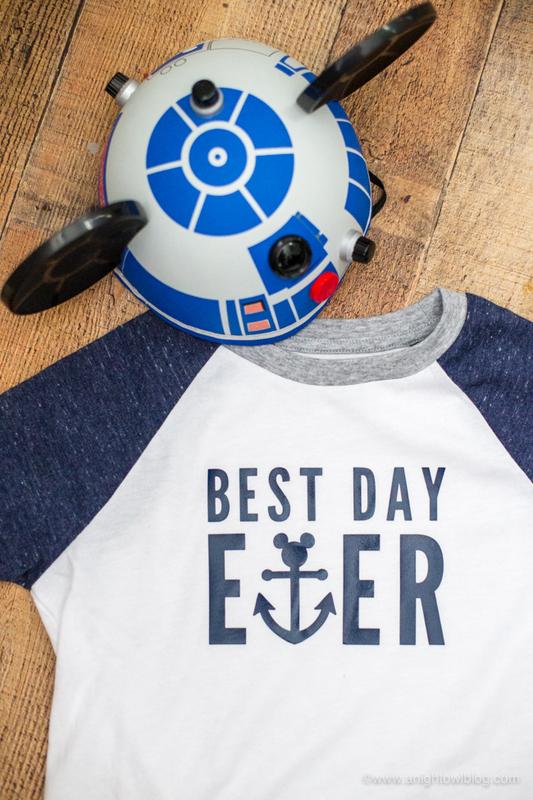 In just one afternoon you have a perfectly festive DIY Disney Cruise Best Day Ever T-Shirt! If you’re looking for MORE DIY Disney shirt inspiration, be sure to hop around to my Disney Mom gal pals and see all the cuteness they’re sharing!